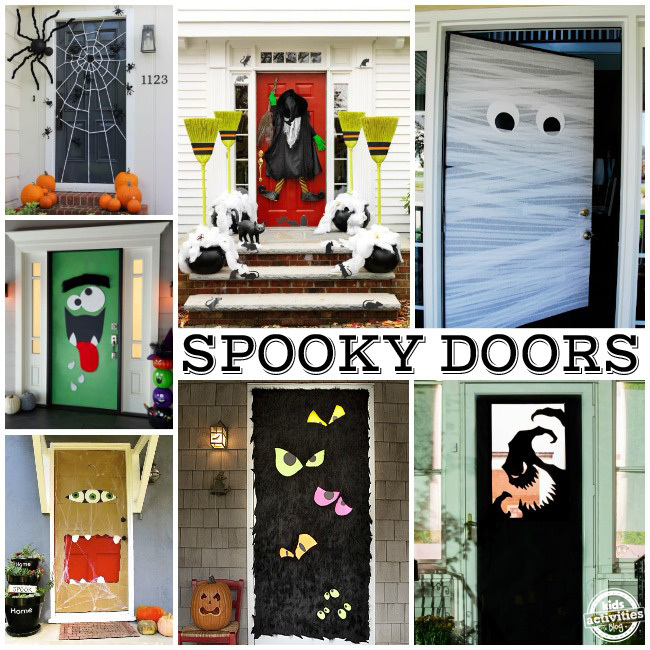 Halloween is coming soon and there are so many fun ways to decorate your house, including a fun Halloween front door! Besides a traditional wreath or door hanging, the writers at Kids Activity Blog are considering decorating our entire front doors while decorating the rest of the yard. This year, my kids want to design our front door as to match the rest of our Halloween decor instead of using our pre-bought decorations. I can’t wait to see what they choose! Use paper bags and your imagination for this fun front door monster at homejelly. Follow the yellow brick road, and discover the witch, under your garage door. 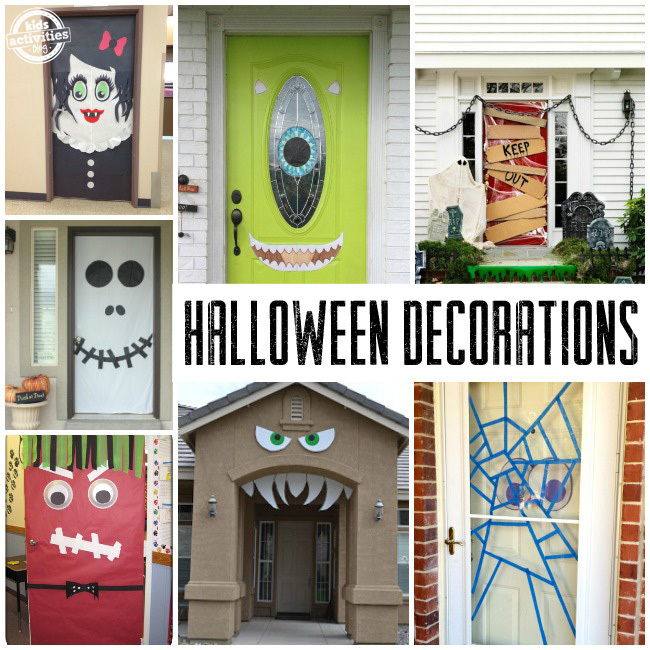 Use a front door window to your advantage to create a Cyclops monster from Events to Celebrate – check out the other fun she spooked up! Crepe paper streamers help to make an adorable mummy front door from Honey & Fitz. Make a spider web with tape to cover your front door. Add some eyes for a fun effect! Bring out the giggles with a silly Girl Vampire Door. 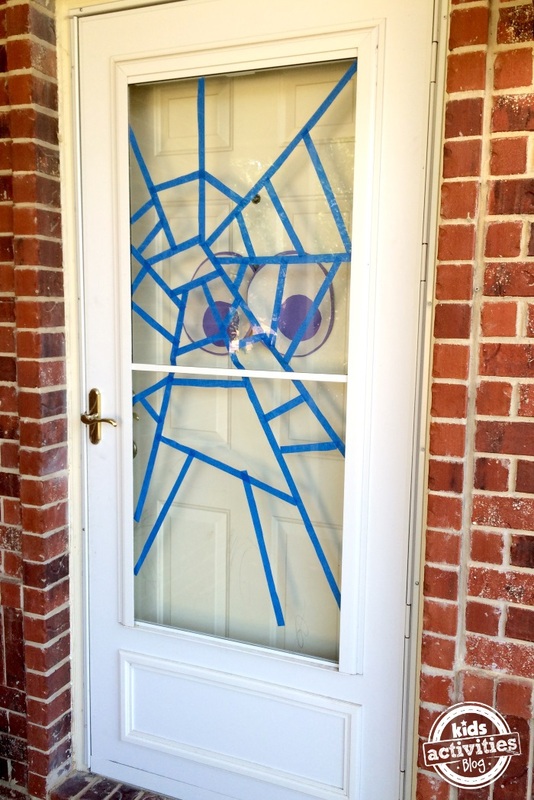 You will never guess how those spiders are on the door…great idea from Delia Creates! A combination of orange, white and yellow craft paper, plus eyes, and you have a candy corn door, just like at Hooty’s Homeroom! 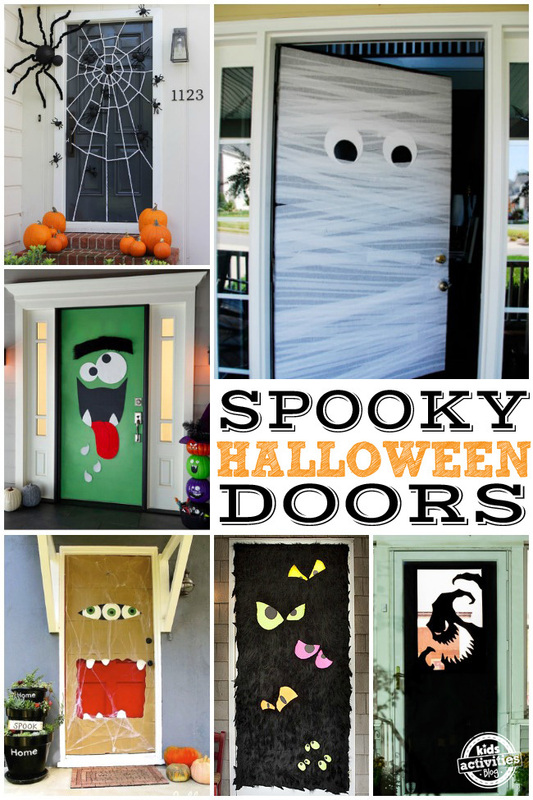 A friendly Frankenstein door is ideal for a green door or if you have green craft paper. This furry black door with eyes peeking out from All You is amazing, wouldn’t this be spooky at night? 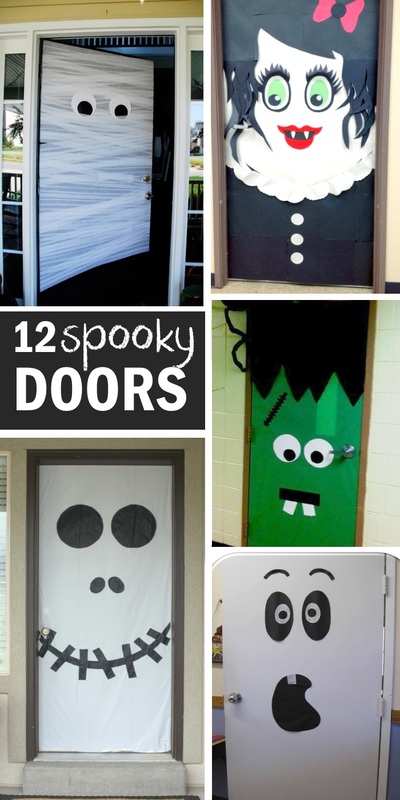 Genius idea from Events to Celebrate for a ghost or skeleton door! Is your door hard to see from the street? Make a monster out of the archway instead, like Nifty Thrifty Living did. This adorable owl door would be ideal for a fall-to-Halloween door, found on My Classroom Ideas. 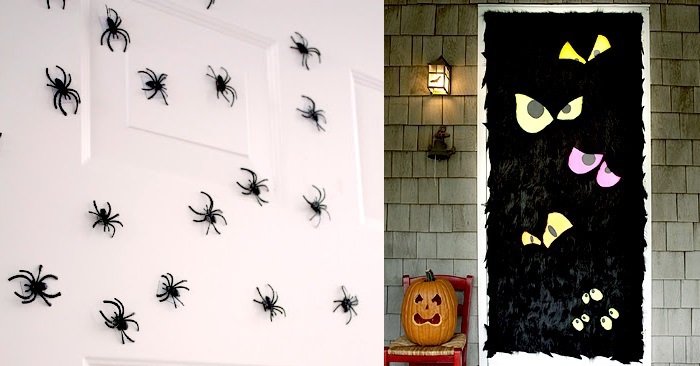 Use yarn to create this spooky spiderweb door from Jane Can. It will look like a witch crash-landed on your doorstep with this adorable craft from Woman’s Day. Or how about a ghostly graveyard door like this one from Woman’s Day?! I’m loving this Oogie Boogie door decoration from The Nightmare Before Christmas by Practically Functional. Feeling even more inspired to create this Halloween? Check out these 20 Easy Homemade Halloween Costumes!